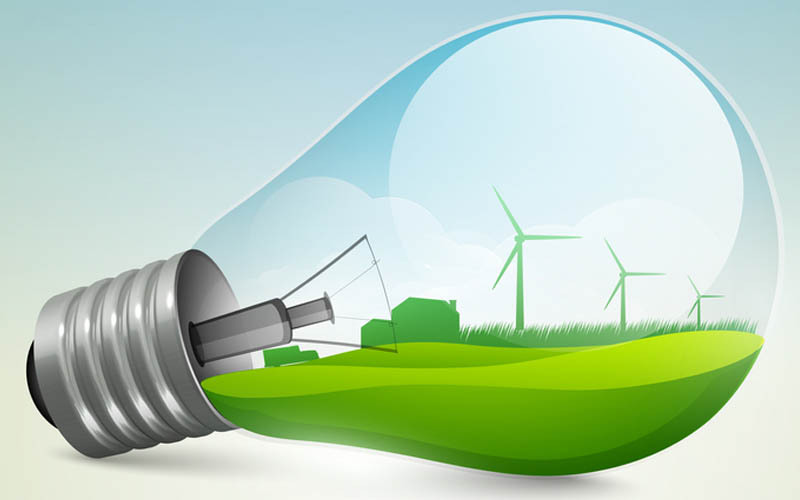 Whilst Solar and LED lighting tend to dominate power saving, there are other options. These products are often more valuable and simply not considered or known. The products here are quite often a better return on investment than solar and sometimes LED Lighting. It is important to get advice and sometimes auditing or monitoring so as to make an informed decision. Check out our range of products here on this page and what they may be able to do or better still fill in either our Free Energy Assessment form or quote form and let us help you decide. 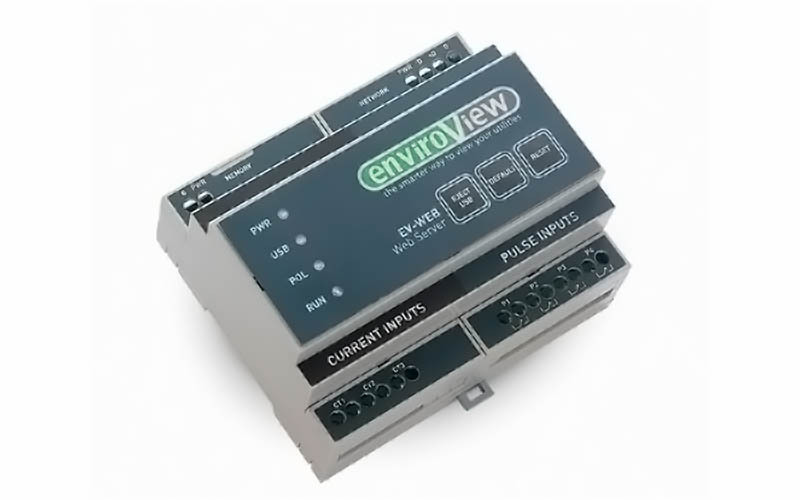 Renovo Energy utilises two types of monitoring systems. Energy monitoring is often the most crucial part of assessing where all that power is going. Energy monitoring can be carried out to prioritise your choices of products considered and is often then left in place to assess on an ongoing basis. 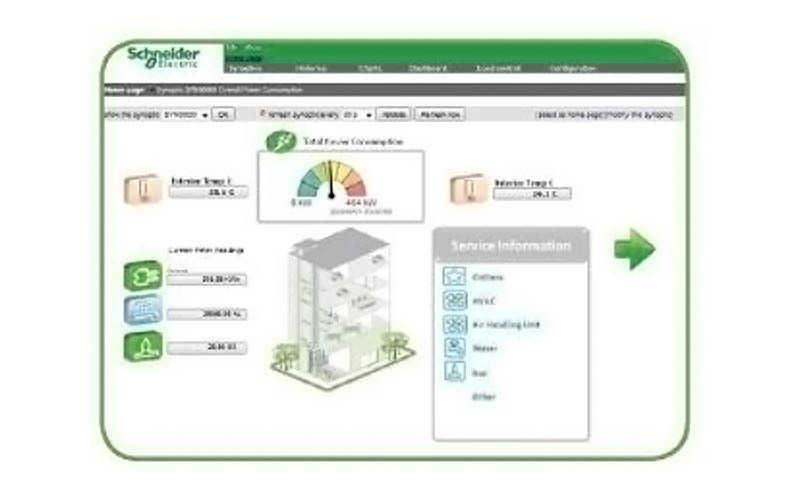 For large organisations we recommend the IRIO energy monitoring system from Schneider. This is a sophisticated piece of equipment that couples together with extensive software so as to ensure energy monitoring can be carried out that is accurate and revealing across the site. Renovo Energy is the Western Australian representative for Captech in Victoria. 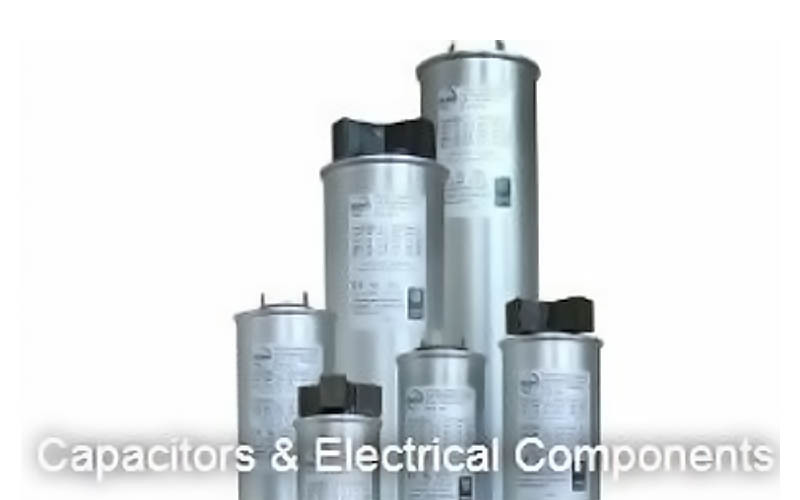 Captech is one of Australia’s leading manufacturers of Power Factor Correction Equipment. 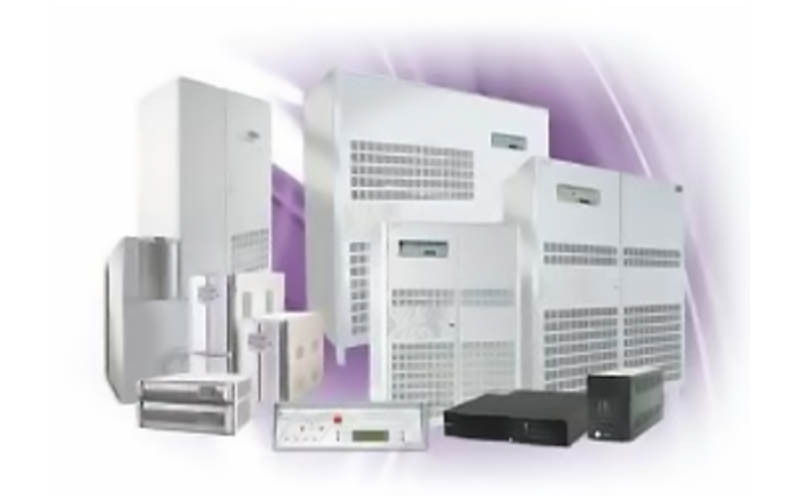 CapTech’s PFC systems increase the efficiency of power supply, delivering immediate cost savings on electricity. PFC also reduces harmful system harmonics and therefore fewer occurrences of power quality-related equipment problems. 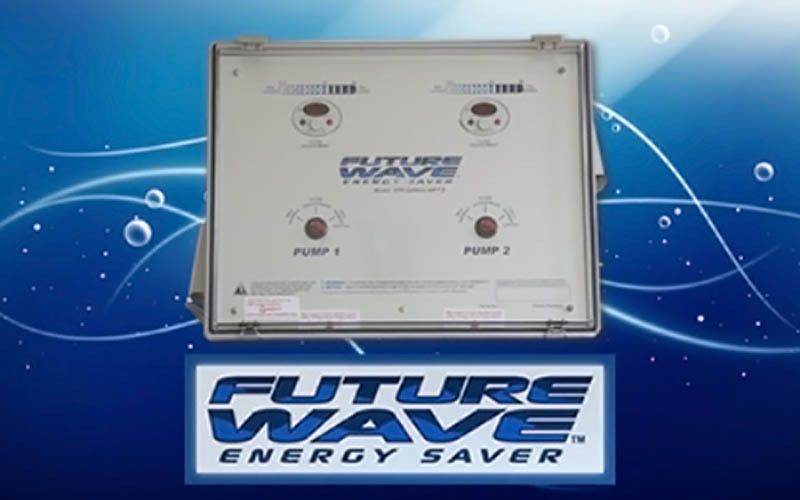 Creates spare capacity on the transformer and main switchboard, thereby providing additional space for future load growth without the need to upgrade infrastructure. Via its affiliation with Captech Australia, Renovo Energy is able to offer design, supply and installation of Bender relay products. 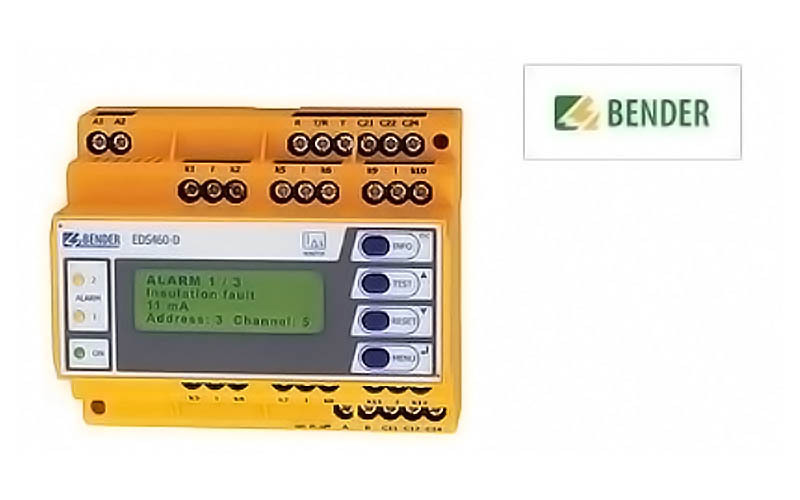 Bender specilises in the design and manufacture of highly sensitive insulation monitoring devices and on-line earth fault location systems, designed to detect and locate developing earth faults on essential electrical systems and equipment to enable repairs to be carried out prior to system failure. Contact us today to enquire about this range of products. Backup power is of course a necessity for most businesses. Renovo Energy have strategic alliances with a number of manufacturers allowing us to “broker” the right equipment for your situation. We have formally trained DC Power technicians as part of team that will then ensure the equipment is installed to specification, in accordance with Australian Standards and protects your essential equipment when you need it most. Contact us via our contact page and one of our DC Technical Sales representatives will respond and be happy to quote your situation. One of the most simple energy saving devices on the market and a cheap way to start your energy saving routine. 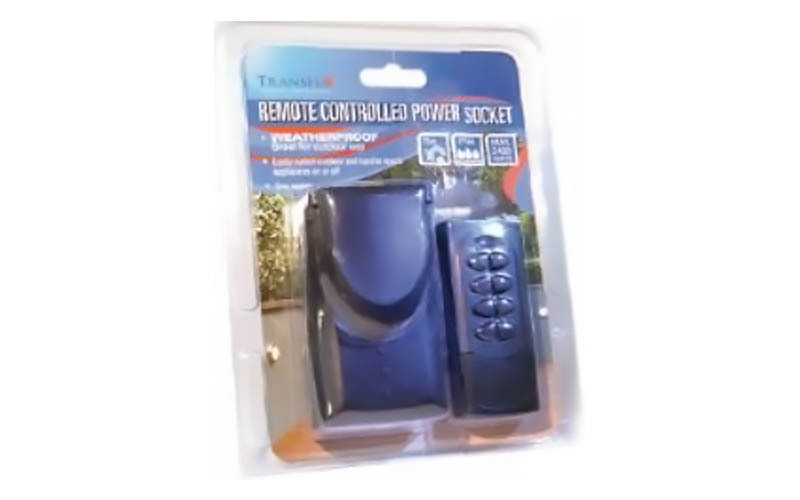 This product allows remote switching of any 10amp device via remote control. It can be installed by anyone (without the need for an electrician) and best of all it is outdoor rated for wet weather unlike most of its competitors. Buy a socket and remote for only $27.95 or extra sockets for $21.95 (each remote can control four sockets) and not only will you have convenience but also energy saving can be achieved easily at the push of a button. Great for use on Pool lights, pool pumps, water feature pumps, pond pumps, Christmas lighting, outdoor lighting, shed lighting and power etc. Contact us today to purchase these remote sockets. Once thought of and used specifically for controlling speed of a motor this technology is now being utilised for energy reduction very effectively. By controlling the speed of equipment so that it only runs at the speed required for correct operation and not its full rated speed – we can now fine tune our equipment to achieve large energy savings with high return on investment. Renovo Energy in general adopts the Ecoxpert Variable Speed Drive for Energy Efficiency program that see us using Schneider drives on all sizes of equipment to achieve significant energy savings. Enquire today by filling out our fee intial energy assessment form and see how this technology can save $$$$. Electric Cars are the “talk of the town”. This cars are now slowly becoming accepted as viable and the way of the future. Of course these cars are only viable should we have a realistic way of charging. 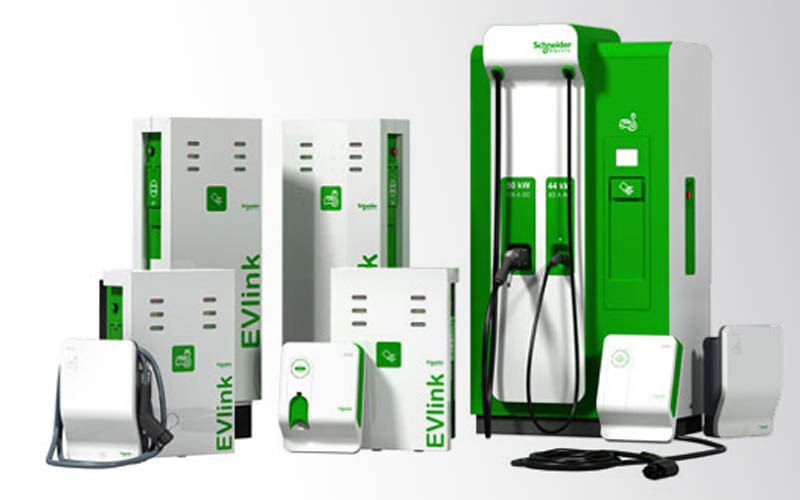 Renovo Energy is a recognised supplier and installer of Schneider EV-Link Car Charging Stations. Enquire today or download the brochure from our downloads section for more information.